Nobody likes to be old or to look older, especially for the ladies. 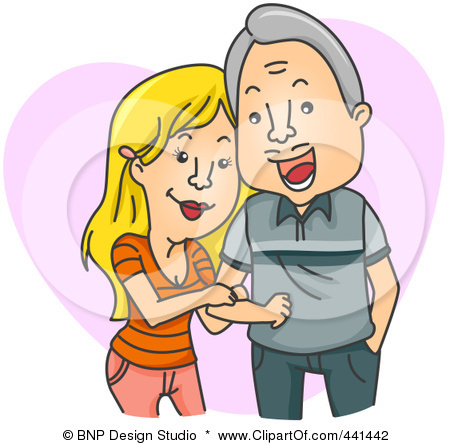 If you are a woman who is at the late fifties, you might look pretty old to men who are forties and below. However when she is surrounded with the senior citizen males, she is a darling to all of them. The other day while I was enjoying a party with little darling, we saw a lady who was sitting alone sipping her wine. She looks old to us. We were guessing her age, wondering whether she is in her early fifties or much older. Later there came another male guest whom I believe could be touching his late seventies. Out of lonesome, both the lady and the man sat together to introduce themselves. They chat and drank happily. I told little darling to look closer at her again. I forwarded this question.."Dear! Do you think this lady looks younger now?" Little darling was amazed with the rapid change in her. "Yes! Yes! She certainly looks much younger now". Reason was quite simple because there was another much older gentleman to create the contrast personality in her. Moral of the story... A woman to pick a lover who has to be much much older than her. Otherwise as you grow older, you might look a mother to him.